This 1972 Dodge Challenger H code 340 4bb 4 speed Rally challenger only has about 1,000 miles put on it since its complete nut and bolt restoration was done back in 2004! Its year correct code 340 4bb engine, 4 speed transmission, and 323 Sure Grip Rear end have all been rebuilt during its restoration. It comes equipped with power steering, front disk brakes, rally gauges, CD player, dual exhaust, rally rims BFG RWL tires, headers, and dual exhaust. Its front k member was dismantled and all new bushings upper and lower were installed. 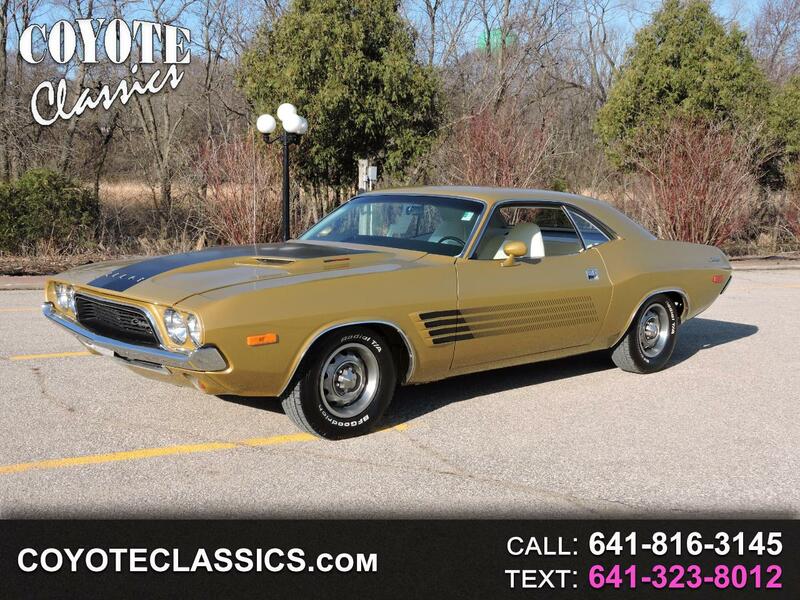 The previous owner found this solid challenger and created it the same color as his high school car! This was his dream car and now it can be yours! A lot of Time and money was spent on this nice restoration with just a very few miles put on it since. It runs and drives great down the road and is ready to jump in and enjoy! Its gold paint has been freshly buffed and polished to a great shine. Its undercarriage also is very solid and clean. It has a really nice restored white bucket seat interior with its 4 speed pistol grip shifter making this one nice and valuable Real deal 340 Rally Challenger. Message: Thought you might be interested in this 1972 Dodge Challenger.